Frank Hawley's Drag Racing School News April 2019! 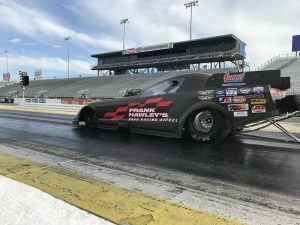 Apr.14.2019Frank Hawley’s News April 2019! Busy times at FHDRS! We have been running lots of classes and helping new racers earn their NHRA competition licenses this year! 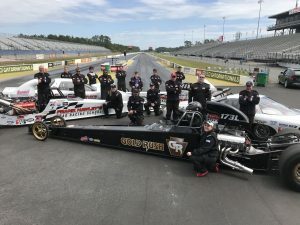 Our annual class after the 50th Gatornationals is always a melting pot of drivers, and this year we had people attending from all over the US, Canada, Norway and England. 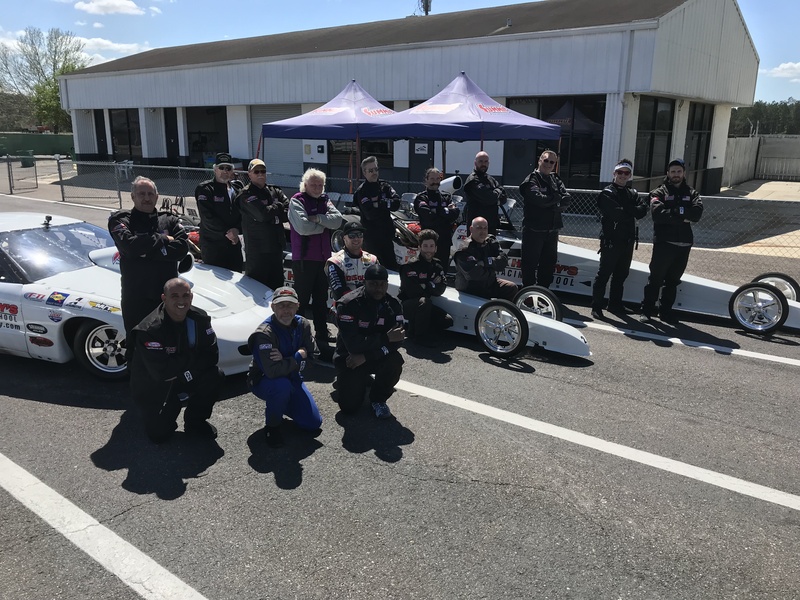 We followed up with a Funny Car class, hosted another Super Comp/Super Gas Competition License Class and the one-day Dragster Adventure. 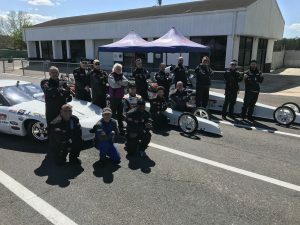 Then while we were getting ready to head west, we added another 2-day competition license class and Alcohol Dragster class to help more people earn their licenses to go racing. When you receive this we’ll be running classes at Tucson Dragway. Following Tucson, we head to Auto Club Dragway and then on to Las Vegas. While our classes in Vegas have been sold out for some time, we have a few seats left at the Fontana class on April 24-25. There are also a couple seats in the Dragster Adventures on April 19 and April 26 at Auto Club Dragway. 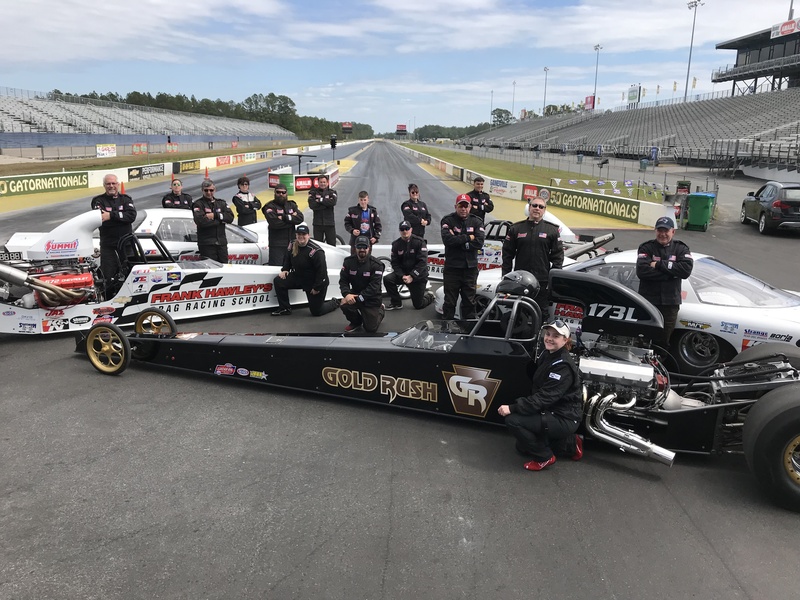 Class dates coming up: Gainesville Raceway May 14-15 (license class); Route 66 Raceway May 23-24 (license class); Houston Raceway June 5-6 (license class) and Houston Raceway June 7 (dragster adventure); Woodburn Dragstrip June 26-27 (license class with only SC Dragster seats left) and Woodburn Dragstrip June 28 or June 29 (dragster adventures); Summit Motorsports Park July 15-16 (license class); Heartland Motorsports Park July 30-31 (license class); and Maple Grove Raceway August 12-13 (license class). More fall dates on our calendar, too! Many of our dragster adventure days are already sold out, so we thank you for your support of this program and please know we’ll try to increase the dates for these next year! All the competition license classes include the lectures on how to “Improve your Personal Performance”. The classroom sessions cover the physiology of how your mind and body work together. You’ll learn how to mentally prepare, perform at the highest level, improve focus and block out distractions. Frank teaches how to practice more effectively whether at the track, at the shop or at home. He’ll share techniques on how to remove the emotional baggage (everybody has some) that can often disrupt good performance. People share with us they find this classroom time extremely useful in their work, at home and of course on the track! Remember, our Alcohol class dates are scheduled on demand, so give us a call if you’re ready to take that next step in your career. Paul Shields and Jeff Arend can answer all your questions about our programs and their contact information is below. We look forward to seeing you at a class soon! « West Coast Classes Coming Up!